TRAVEL | DINING | LIFESTYLE Create joy by engaging & providing great information to the travel, dining and lifestyle community at large #YSBH #DTpodcast. "It was a pleasure being your tour guide for the last year and I sincerely hope all the members and listeners have enjoyed each episode and also learnt something along the way! Keep your eyes and ears open for my next exciting project by following me on social media, and remember, the best way to experience the world... is together! Love you all and keep smiling!!" Explore the paranormal with members’ spooky travel tales and learn where to find things that go bump in the night. Today we hear from podcast listener and DreamTrips Member Faith Thompson about her trip to the Myrtles Plantation in Louisiana. One of the 10 most haunted places in the United States, Faith shares the eerie events that unfolded when she visited the Myrtles with her family. Listeners beware: Horror and mystery abound in this podcast! Add this to the Social Beat and breaking news from Rovia President Jim Menge, and we have a wonderfully scary episode to get you in the mood for Halloween. Listen in … if you dare! [01:58] Courtney details the latest social media contest. [02:58] Courtney speaks of a haunting stay at Hotel Monteleone in New Orleans. [03:37} We tease a More than a Travel Tip … Tip about airplane situations. [05:05] Today’s guest, podcast listener and DreamTrips Member Faith Thompson, describes her Spooky Travel Tale about the Myrtles Plantation in St. Francisville, Louisiana. [06:39] Faith and four family members stayed in a creepy room at the Myrtles (see the photo above). [07:05] Faith and Wayne recant the horrific details of the haunting. [08:40] The Myrtles: A delightfully eerie bed and breakfast with delicious blueberry scones. [08:58] Be careful walking up the stairs — make sure to listen for strange sounds. [09:30] Faith’s cousin Amber took a scary photo and it’s very creepy! [10:32] Faith’s spooky tale takes a turn and now it’s even more weird. [13:36] Wayne describes the time he saw a ghost. [16:09] Overall: It was scary but worth the visit! Everyone should see the beautiful Myrtles Plantation. [17:58] Between segments, your co-hosts chat about the Myrtles Plantation. [19:38] Breaking News for DreamTrips Members from Rovia President Jim Menge. [20:53] Wayne and Courtney talk about some benefits specific to the DreamTrips app. [22:31] Jason shares “Spooky Travel Tales” posts from members Claudette Hatcher and Connie Belamir. [26:01] Wayne talks about his experience as a tour guide on the London Jack the Ripper tour. [26:49] Contact the DreamTrips Podcast on social media with #DTpodcast. 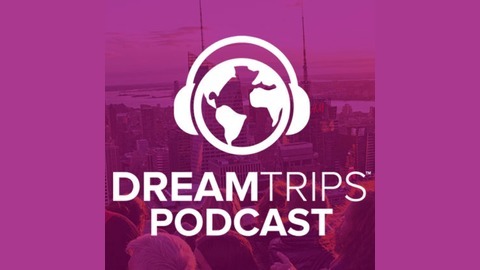 [27:16] The DreamTrips Podcast website has been updated with bios, contact information and a way for you to become a guest on the show, so go check it out! [28:01] The More than a Travel Tip … Tip! [29:40] The next episode releases early on October 31 for Halloween, so find out what it’s all about. The Myrtles Plantation in St. Francisville, Louisiana. 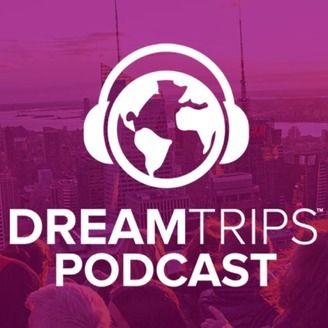 Get to know us by visiting the official DreamTrips Podcast website. Rate us and subscribe to the podcast on Apple Podcasts (formerly iTunes), Stitcher and Google Play™. Share your tips and stories with us on social media with #DTpodcast. Download the DreamTrips app on the App Store and Google Play to check out all our episodes!